izu no kokoro…a mind like water. This phrase from Zen Buddhism is familiar to anyone who trains in the traditional Japanese martial arts. It’s meaning encompasses all aspects of water. Sometimes the mind is still, like a calm pool reflecting the moon; sometimes the mind adapts effortlessly, just like water. Water runs deep; water can recede like the tide, or return to the shoreline with force. Water can contain hidden currents and whirlpools which an opponent won’t discover until the last second. And water can be overwhelmingly strong, like a tsunami. The mind-water principle also reaches deep into Chinese traditions, especially as part of the 5 Elements Theory, and of course, Daoism itself. 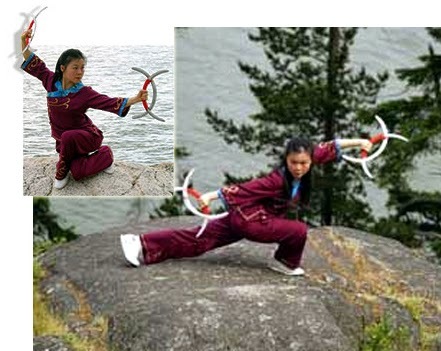 we find a beautiful rendition of a BaGua deer horn knives form. Practitioner and knives have become one. Practitioner and knives have also become one with their surroundings. 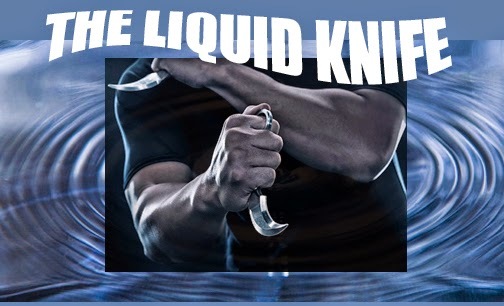 Fluid and graceful, both practitioner and knives flow from shape to shape…like water. Everyone becomes fixated on the knife. If that remains the basic undercurrent of the seminar, I always end up with a real problem. There’ll be hacking and jabbing with little motion from the legs and hips and very little escape from a stiff body locked by a mind in turn locked on the idea of a blade. 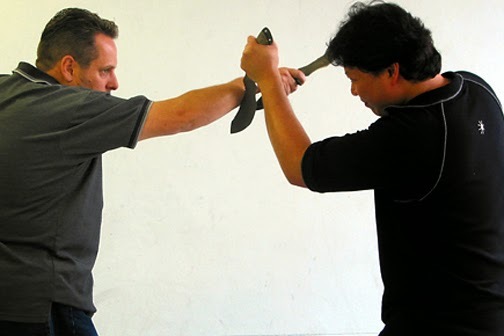 No wonder Filipino knife teachers ask their students just to let go and relax into knife flow drills, from the simple to the more complex. Humour helps the class to relax. Reminding students that they have nothing to prove also goes a long way in helping them to settle down. No, I’m not. I’m asking you to become familiar with the feel of holding a short weapon in your hand using two “shapes”. Feel the grip, sense the parts of the blade and the tip. Next, I show students how to flow with the knife. That’s vitally important since in the end all established skills and protocols in any fighting system must be able to adapt to the necessities of combat. And combat is always fluid. I Chuan was developed by Wang Xiangzhai, a student of Guo Yunshen from Hsing I boxing. Guo was a superb fighter. Wang himself was undefeated in his career. 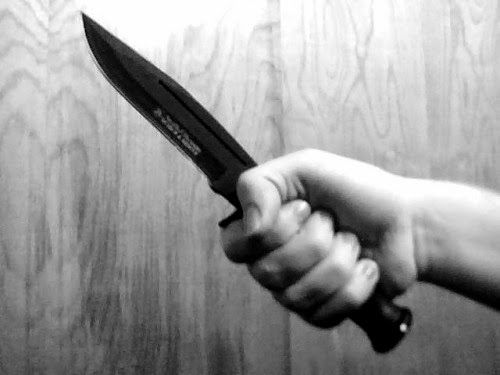 By now, the students begin to sense that the knife is part of them…and that every part of the knife in turn is alive and flowing and can be adapted to any situation during combat. And because they’re now relaxed, the students are able to muster a wide variety of attack lines once they start practising with a partner. The lines keep changing, keep adapting. More importantly, the mind has started to develop some attributes akin to water – stillness, adaptability, a sense of oneness, the ability to take on any shape and to move from shape to shape. 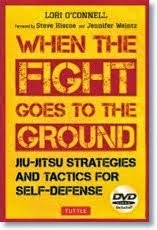 I see Judo practitioners reading this, Karate practitioners as well. I Chuan? I don’t know any I Chuan. I can understand the principle but how does it translate into my particular art. Karate…take a portion of a Kata, put a knife or knives in your hand, go soft and fluid and start to play around inside the movements of your Kata. Then slowly adapt them to combat with a partner. The same in Taekwondo, etc. 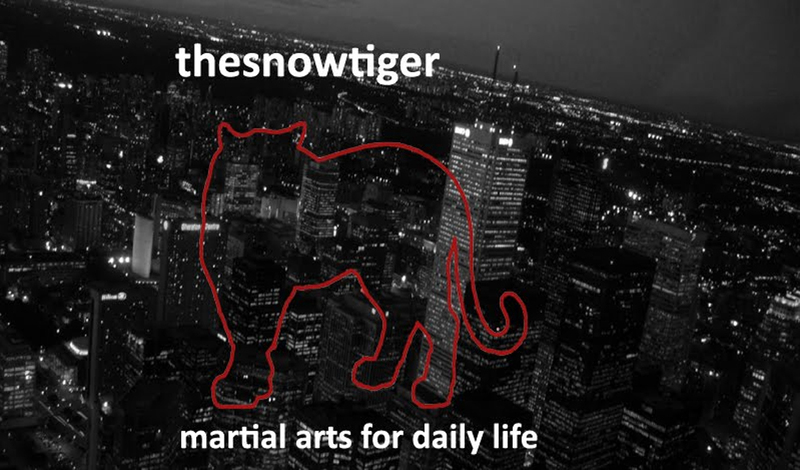 In fact, for all martial arts practitioners, simply go to your art…and explore. Aikido-ka, you do this all the time. Judo-ka…you know the very basic entry steps to your hip throws and shoulder throws. Put a knife in your hand. Just the entries themselves are full of fluid fighting possibilities. Years ago, I took the single sabre broadsword out onto a dock on a lake and performed the Si Fa Do from My Jong Law Horn Kung Fu over and over in the moonlight of an absolutely still night. Water…sword…moonlight. Train, adapt. Be fluid like water.